Fast-growing Tokyo-based news app poised for global expansion. Installations exceed 18 million; partner publications exceed 1,500. SmartNews has quickly grown to become one of the world’s most popular and honored news apps, with more than 18 million downloads worldwide. SmartNews (smartnews.com), the award-winning news-discovery mobile app, has raised $38 million in Series D financing, bringing its total funding to $90 million. The round was led by Development Bank of Japan, followed by SMBC Venture Capital and Japan Co-Invest L.P. (managed by Sumitomo Mitsui Trust Investment). The new funds will be used to accelerate growth, hiring and business development, and to expand research and development of SmartNews’s specialized machine learning technology for news discovery. SmartNews has quickly grown to become one of the world’s most popular and honored news apps, with more than 18 million downloads worldwide. It has won multiple “App of the Year” awards in Japan, and in the U.S. was a finalist this year in the “Most Innovative” category in the first-ever Google Play Awards. 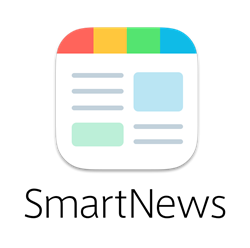 SmartNews simply delivers better, smarter news: ”hidden gems” or stories that typical social news feeds and other news apps often miss. The company’s proprietary machine learning technology evaluates more than 10 million articles and online cues a day to uncover the most important and interesting articles that matter to a broad audience right now. Unlike other news apps, SmartNews employs no human editors, and rather than attempt to over-personalize the news, its algorithms are optimized for discovery and diversity in order to expose users to a wider variety of higher-quality stories and topics. At a time of uncertainty for the news industry, recent research shows SmartNews surging in popularity and user engagement. Users now spend upwards of 4 hours a month on SmartNews, much more than on other news apps or even some popular social networks. SmartNews has partnered with more than 250 publishers in Japan and 150 in the U.S. -- totaling more than 1,500 publications, including CNN, NBC, Time, the BBC, Fox News, The Huffington Post and TechCrunch -- to distribute content directly on the SmartNews platform. Just as users discover hidden gems outside of their social networks, publishers discover new audiences through their own branded channels. Besides connecting them to elusive mobile users, SmartNews operates on a remarkably publisher-friendly model. Publishers who place their own advertising on SmartNews’s lightning-fast distribution platform keep 100% of their own advertising and can also receive additional revenue from SmartNews Ads (in Japan)—and gain real-time analytics and audience insights. Just one and a half years after launch, the company’s in-house mobile ad network, SmartNews Ads, has become one of the premier ad platforms in Japan, featuring native mobile video and app ads. It has attracted such global brands as Google, Netflix, Warner, Paramount and Danone, along with such prominent Japanese brands as Shiseido, JAL, Suntory and many others. SmartNews is dedicated to delivering quality information from the world to the people who need it. Founded in December 2012 by Kaisei Hamamoto (awarded “Creator of the Decade” by Yahoo! Japan) and Dr. Ken Suzuki (named “Super Creator” by Japan’s Ministry of Economy, Trade and Industry), SmartNews uses proprietary machine learning algorithms to evaluate more than ten million articles, social signals and other cues each day to discover and deliver the stories that matter now. The company has offices in Tokyo, San Francisco and New York.